4k00:22GOMEL, BELARUS - November 18, 2018: winter snow fun. 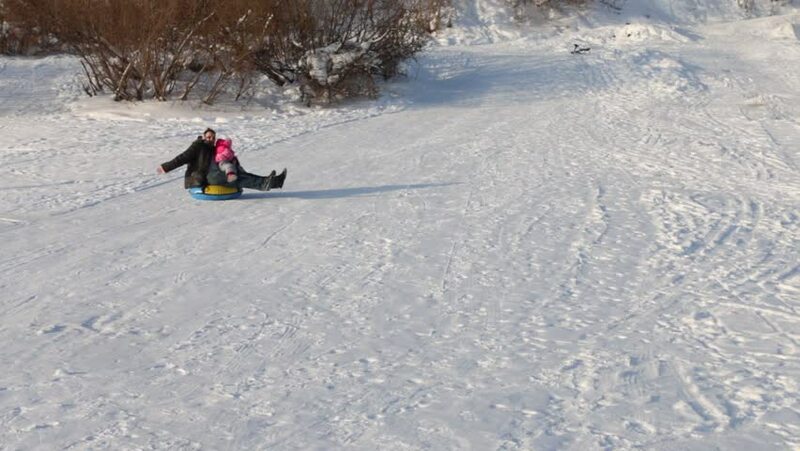 children ride a tubing from a slide. hd00:13URYUPINSK. RUSSIA - JANUARY 21, 2019: Winter vacation: kids riding on inflatable snow tube from a hill. Children climb the hill, carrying a sled. Winter, active rest.